The second edition of the enchanted Indian Tablet Aakash has released by President Pranab Mukherjee. The Aakash tablet has popularly known as the low cost tablet in the world. After the tremendous success of the first version of Aakash, the government of India planned to manufacture the second version for students of engineering colleges and universities all over the country. Aakash 2 has been developed under the guidance of India Institute of Technology (IIT) Mumbai with the active support of Center for Development of Advanced Computing (C-DAC). The Aakash 2 tablet comes with a brilliant 7 inches TFT LCD Capacitive touch screen with 800 x 480 pixels resolution. The tablet is powered by a 1 GHz single core Cortex A8 processor with inbuilt graphic acceleration. 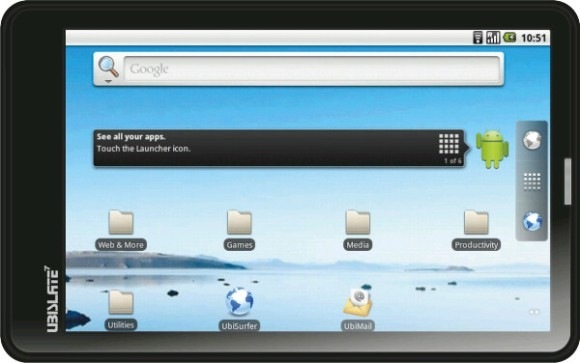 The tablet runs under the software support of Google which is the popular Android 4.0 Ice Cream Sandwich platform. Aakash 2 tablet sports one front facing VGA camera for video chatting along with Wi-fi support. The tablet has 4 GB internal memory and 512 MB Random Access Memory (RAM). There is also a memory Slot on the device which suitable for micro SD cards up to 32 GB. Advanced connectivity options are enable the tablet. Aakash 2 will be available for Indian students at a subsidized rate of Rs 1130. The commercial edition of the Aakash 2 tablet is also available in the country for Rs. 3,500. The Aakash 2 commercial version is branded as UbiSlate 7Ci, and is available for purchase on DataWind’s official website.